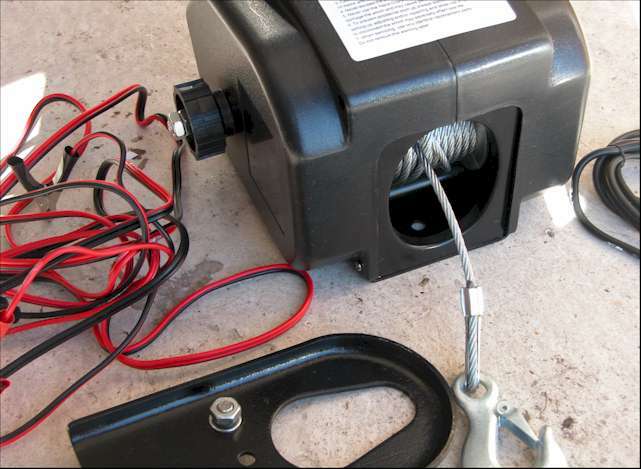 Convenient portable electric winch with power for pulling boats, stuck vehicles and other heavy items. 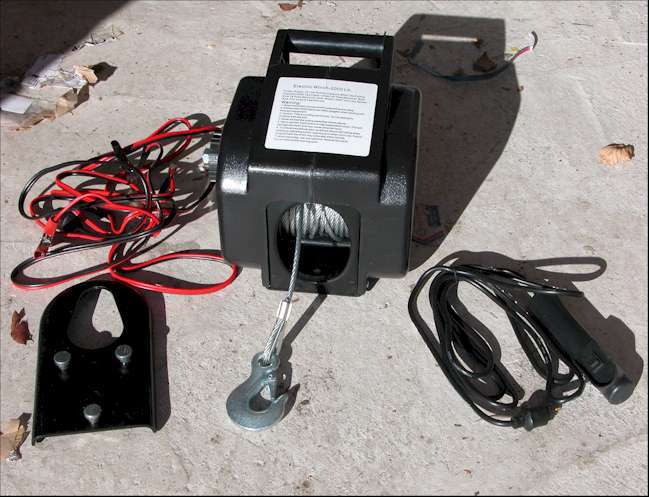 Portable electric winch with built in carrying handle and quick attach mounting bracket.The bracket can be fixed down or it has a cut out that will fit over the top of a standard 50mm tow ball. 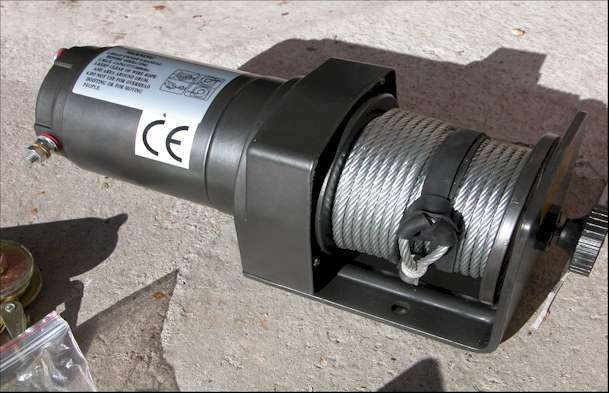 Electric winch is supplied with a power lead terminating with two crocodile clips on one end and a waterproof connector one the other end, this plugs into the electric winch. 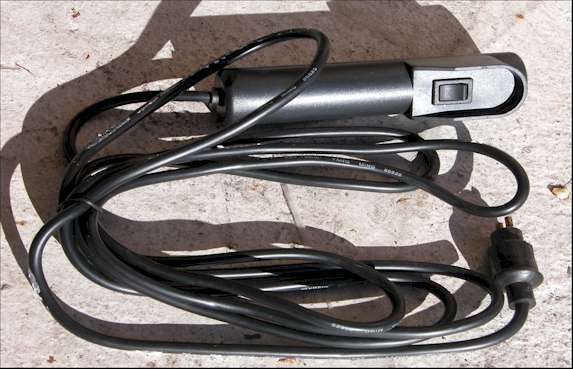 Another lead is supplied with a waterproof switch on one end, this also plugs into the winch. Also included is a mounting plate and a hand crank for manual/emergency use. 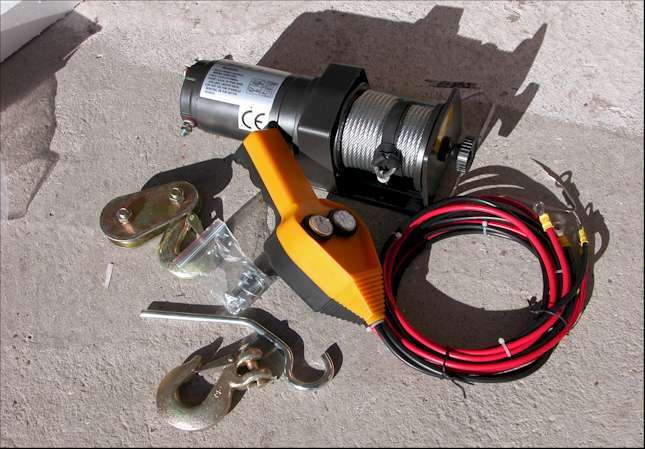 The electric winch has an adjustable clutch (useful when pulling out the cable) and is supplied with a comprehensive instruction/maintenance manual. An reversible 12vdc electric winch for permanent installation (eg bolted to vehicle body) includes an additional pulley block. Supplied with a hand held control unit with forward and reverse switches, fixing bolts and a comprehensive instruction manual.